Thanks to Craig (and Barred in DC who reminds us a Capital One Cafe is coming.) for the massive news. 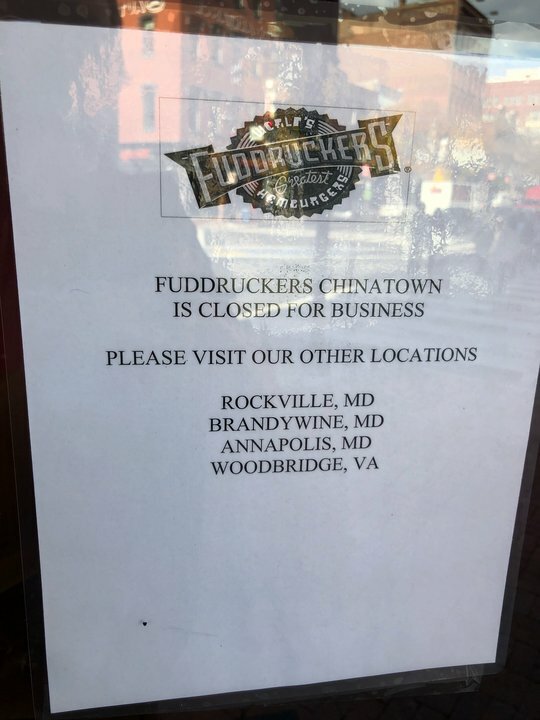 Fuddruckers closed in Dupont back in 2010 (that location is now a Shake Shack.) Chinatown’s retail shakeup continues with the recent closure of RFD and rumors of Hooters closing soon too but they still seem open. Anyway, pour one out for Fuddruckers – they had a helluva run.